This chair. Maybe a different color or style- they all feel the same. This is the chair that taught me how to sit. How to wait. How to breathe. In January of 2013 my son was diagnosed with an ultra-rare disease- Atypical HUS. For 30 days, he lay in a hospital bed and I sat in a chair like this. Trying to sleep, trying to understand, trying to ask questions, trying to not lose it. Now I sit in this chair every 14 days while we are back at the hospital for his life-saving drug infusion. This was the chair I sat in today. I figured out I have sat in this chair over 125 times in the last 2 1/2 years. Waiting for IV teams, waiting for doctors and nurses, waiting on medications, waiting. This isn't the only chair I sit in. I sit in my car on the way to appointments and picking up prescriptions. I sit in the lobby and then the chair of the pediatricians office, the ER, the pharmacy, the OR waiting room and the cafeteria while I push food around thinking maybe this time I will eat. Lately I sit in airports, on airplanes, in cabs or rental cars, and hotel meeting chairs while I travel to conferences trying to learn more about this disease, hoping that each time I will learn something new and amazing. At the end of one particular conference, I was sitting in the airport with my mom whom I had brought with me. Our plane was delayed. And delayed longer. Like most people there she was not happy with the delays. People were grumbling, everyone had a good reason to get on the plane and where they needed to be. As one who used to be anxious when something like this would happen, I sat quietly and still. There was nothing I could do. No will of mind or pacing back and forth would bring that plane any sooner. It was out of my control. The majority of life is out of my control. There isn't much I can change. I can only change my perspective of how I think and how I handle situations. So I have learned to sit, to listen, to observe, to think and to breathe. I have been sitting in a chair when ER doctors asked every possible question while nurses bustled around my son and there was no room for me. 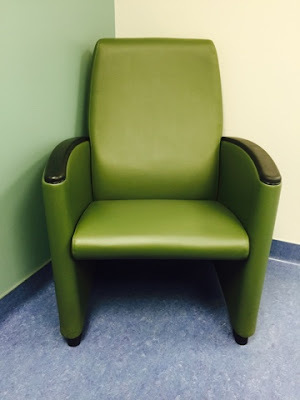 I have been sitting while doctors explained his disease and I felt my heart and stomach sinking through that chair and spilling onto the floor. I have sat watching his blood be funneled through dialysis machines day after day, watching donated blood and platelets renew his life, waiting for lab results and waiting to hear what the doctors say this time. I have sat and answered his questions honestly, held him while he cried in fear and praised him as he returned to school and succeeded. I have sat on my bed, on the shower floor and at the kitchen table and sobbed tears when no one was around. I have sat and pleaded with my Heavenly Father for his health, his strength and thanked him for keeping my family together. I will be sitting for a long time. It's long. It's uncomfortable. It's necessary. And so while I sit, I breathe deep and smile, because I know at the end of the day, I can sit on my couch with my husband and children and be whole because it is sitting that has gotten us this far. I'm Anne. Mother to 2 beautiful and talented daughters, 1 incredible and handsome son who also is fighting a life long, life-threatening rare disease and wife to my amazing husband. This blog is a place for me to share my thoughts and the things that bring me joy. It's random, it's about everything and nothing- it's me. 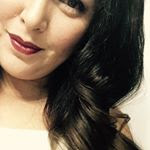 Visit Sassy Haven's profile on Pinterest.